VANCOUVER — Members of the Board of County Councilors approved an ordinance Tuesday that amends county code to change how the county handles the sale of surplus property. Under the previous code, property acquired by the county for development purposes and then determined to not be needed was surplussed, and bidders were allowed to place bids on the property. 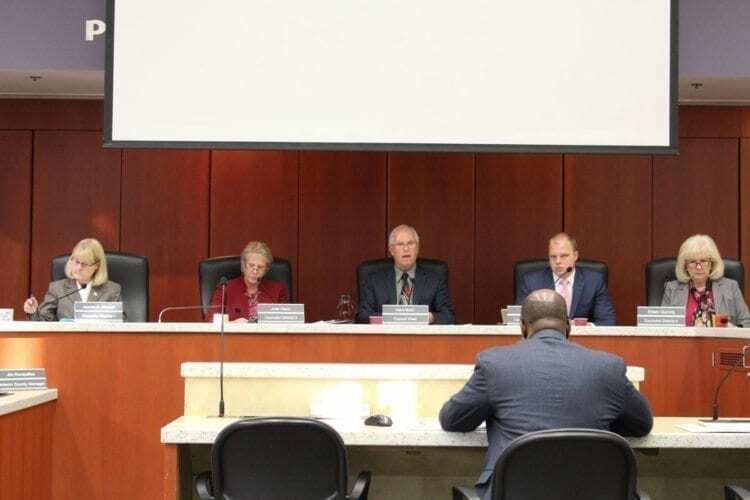 The new ordinance allows the original owner of the property, before it was acquired by the county, to purchase back the property at the same price the county acquired it, plus any interest that may have accrued. According to Public Works Director Heath Henderson, sometimes when a property is acquired by the county, changes in the project mean that it may no longer be necessary. Through the original surplussing process, Henderson said that the original owner “would basically have to compete with the rest of the bidding community,” and potentially pay a higher price than what the property was bought for. Council Member Jeanne Stewart said that “we don’t do unnecessary acquisition,” and asked when such a circumstance as addressed in the ordinance would arise. According to Henderson, it can happen as plans for a project change. He cited the development of stormwater facilities as a hypothetical example. One planned site may have been acquired, but then the site may be determined to be inadequate or not needed and the property is no longer necessary. The county then would need to dispose of that property. The county council members unanimously passed the ordinance. The full text of the ordinance is available online at https://www.clark.wa.gov/sites/default/files/dept/files/the-grid/2018/2018_Q1/d022718_Hearing_SurplusProperty.pdf.